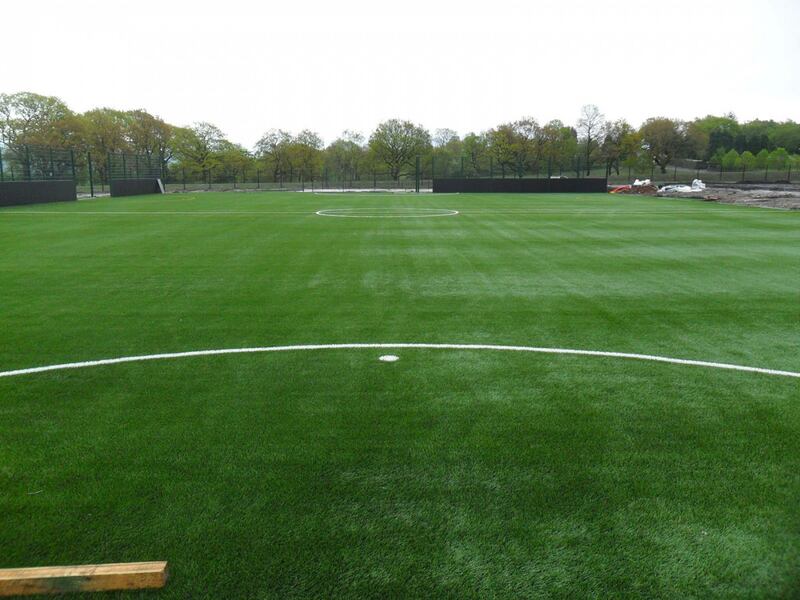 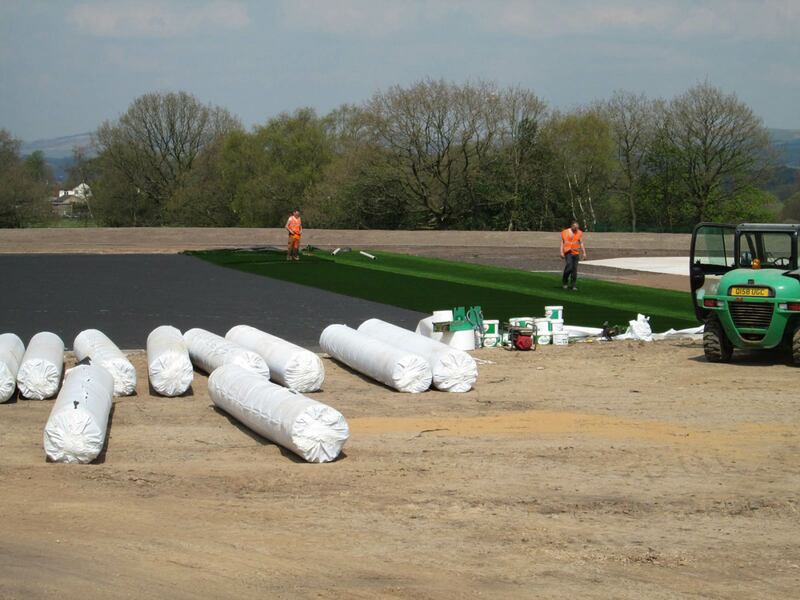 A full size natural grass pitch was constructed to Sport England and Football Association Standards. 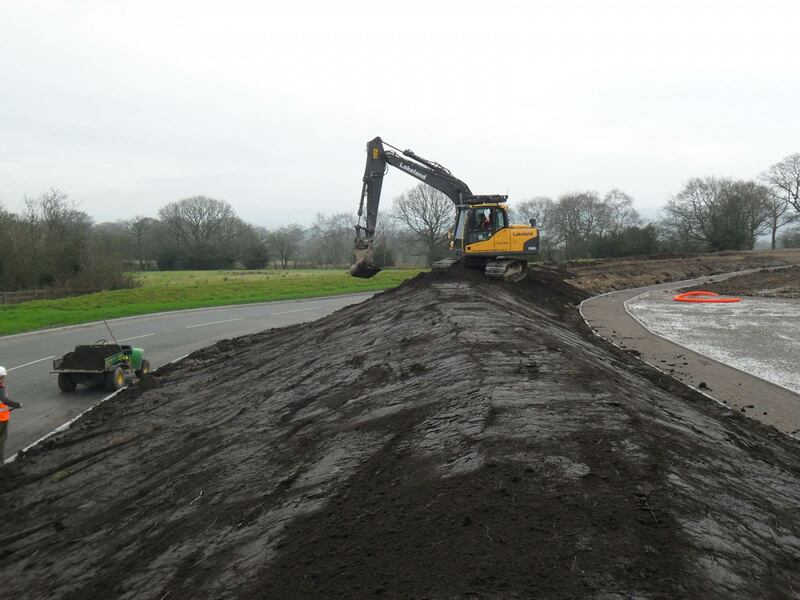 The area was stripped of turf and topsoil and the topsoil stockpiled for reuse. 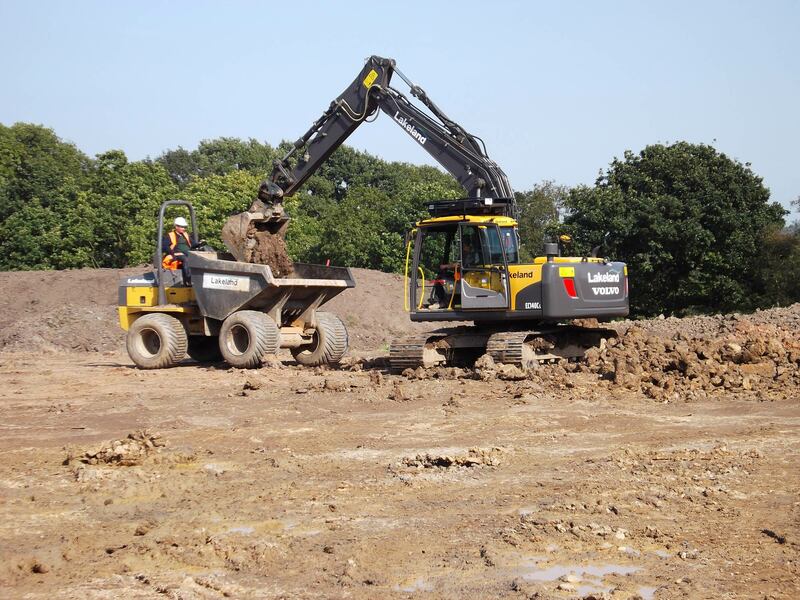 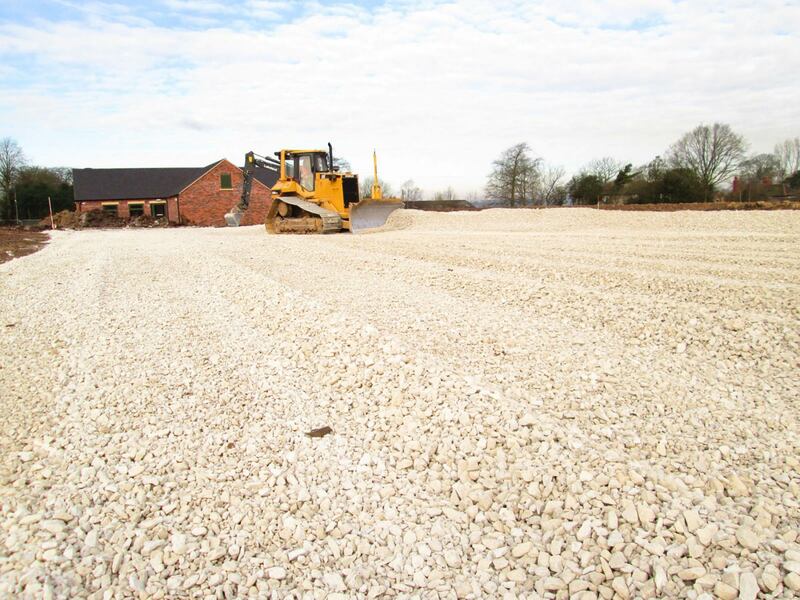 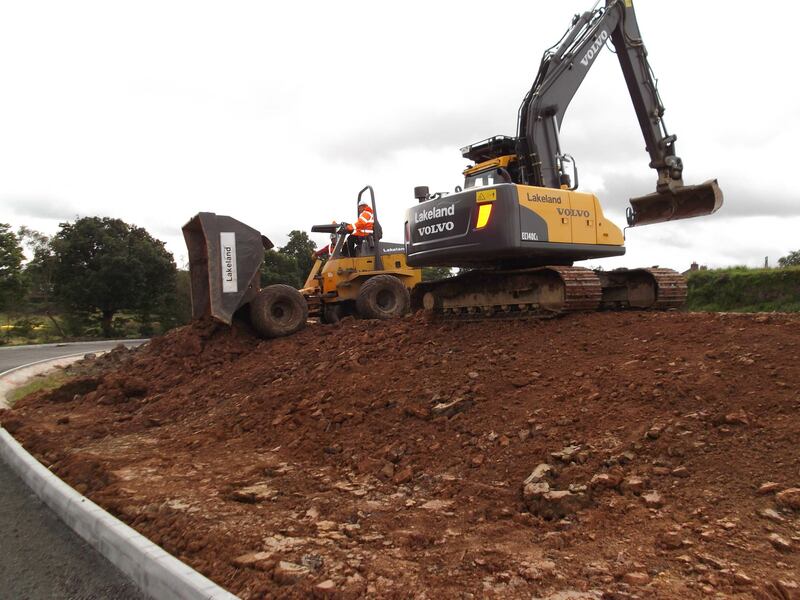 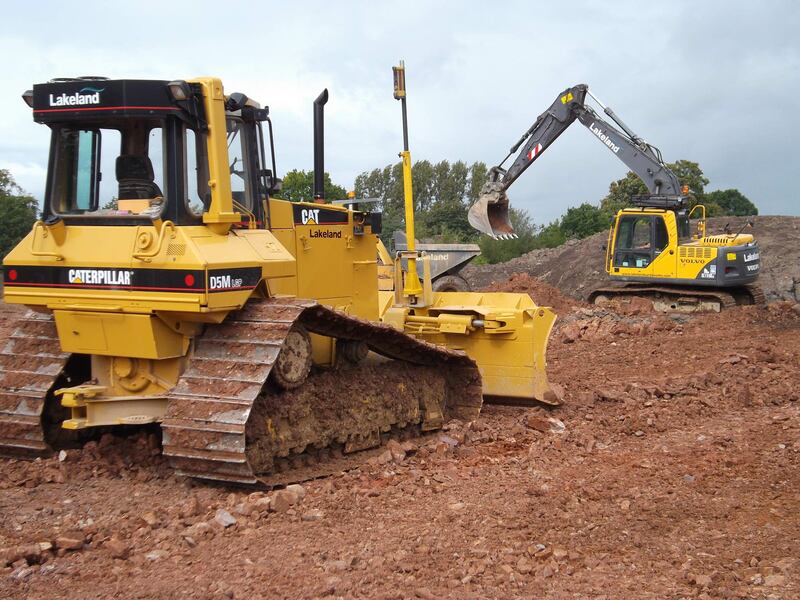 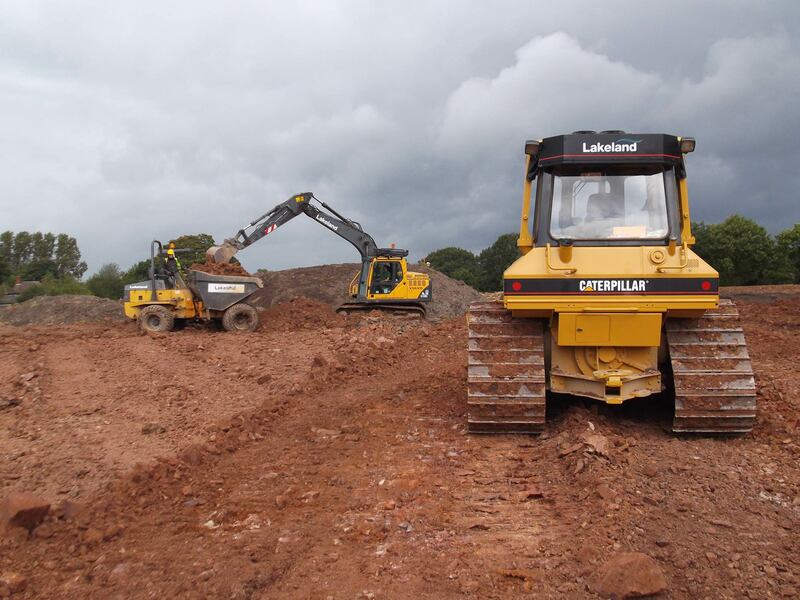 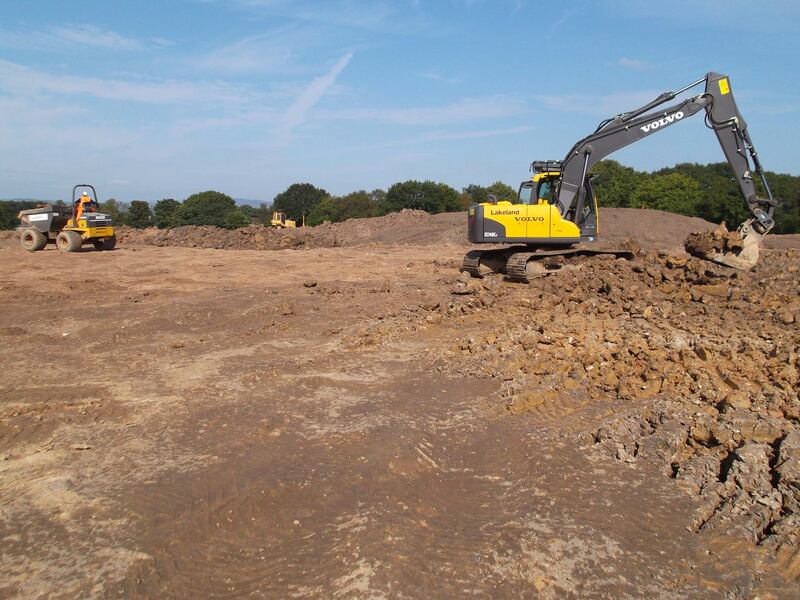 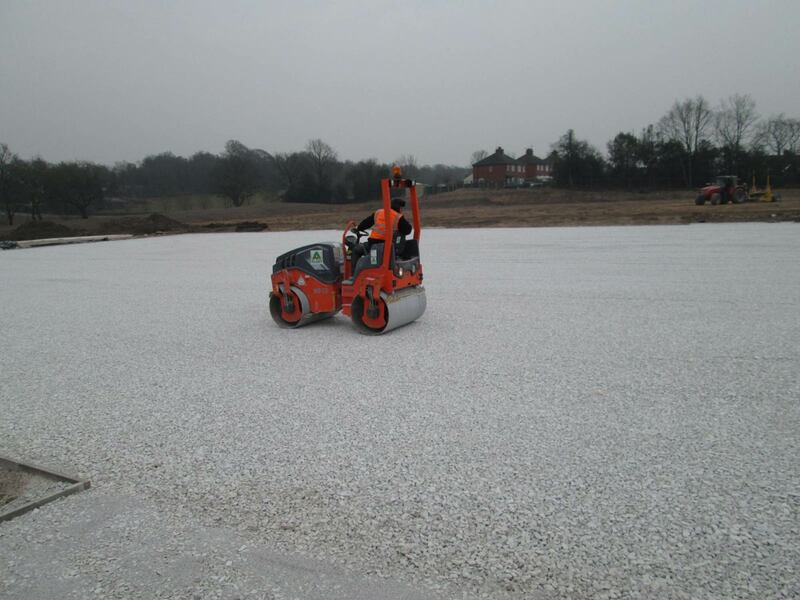 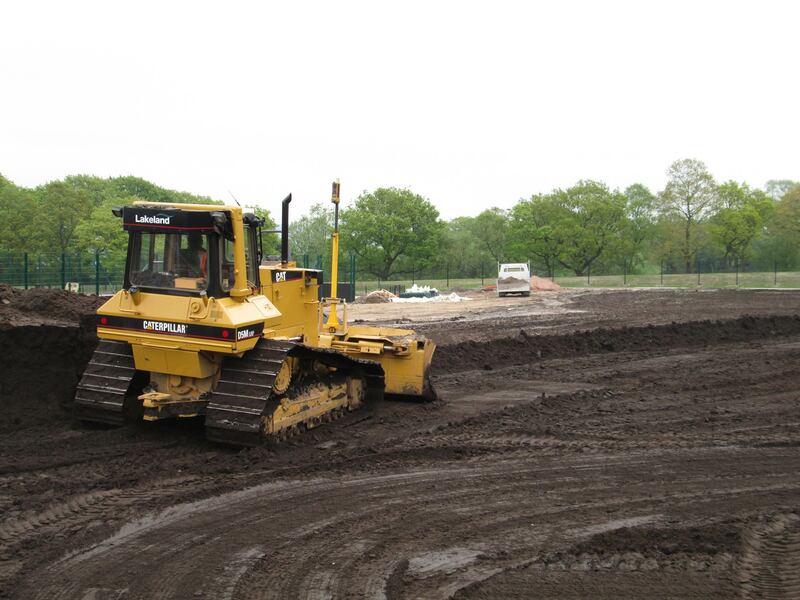 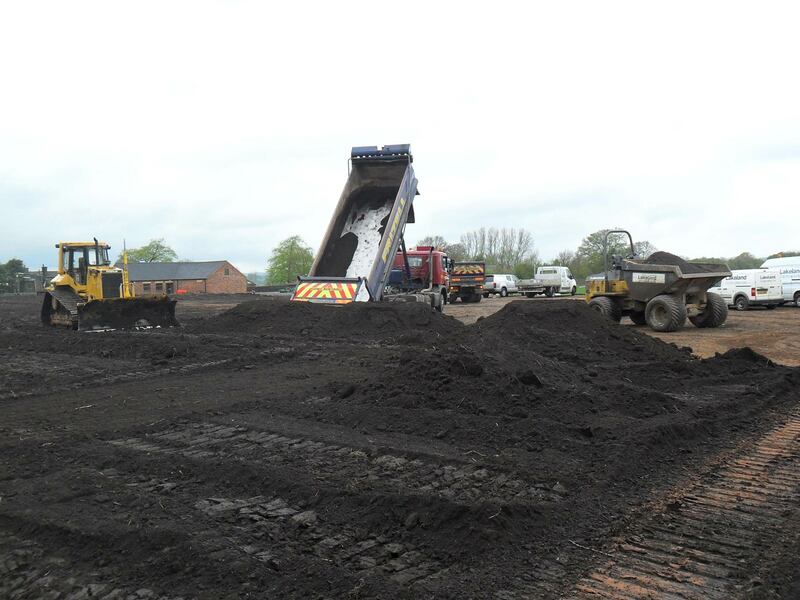 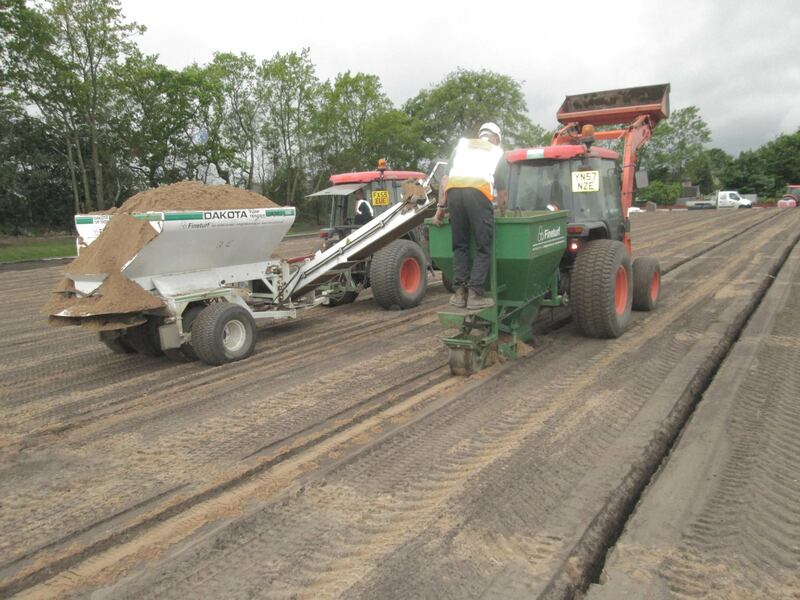 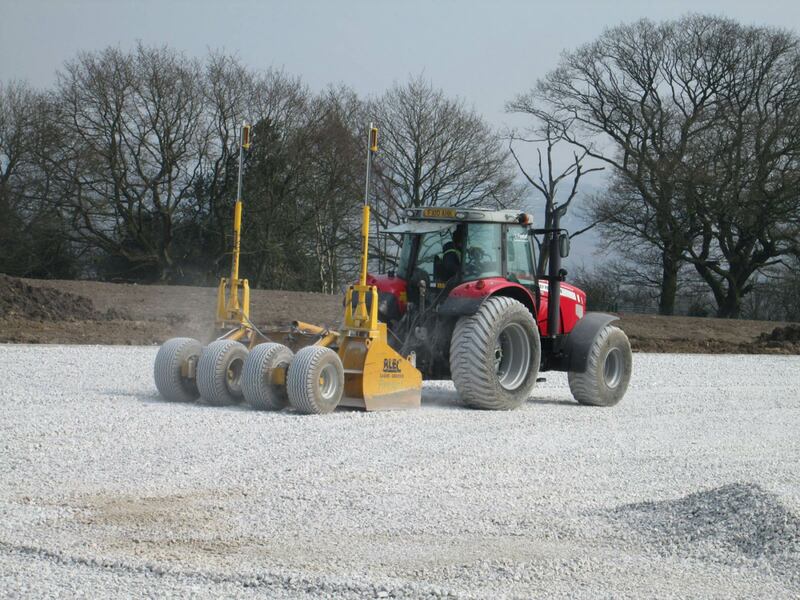 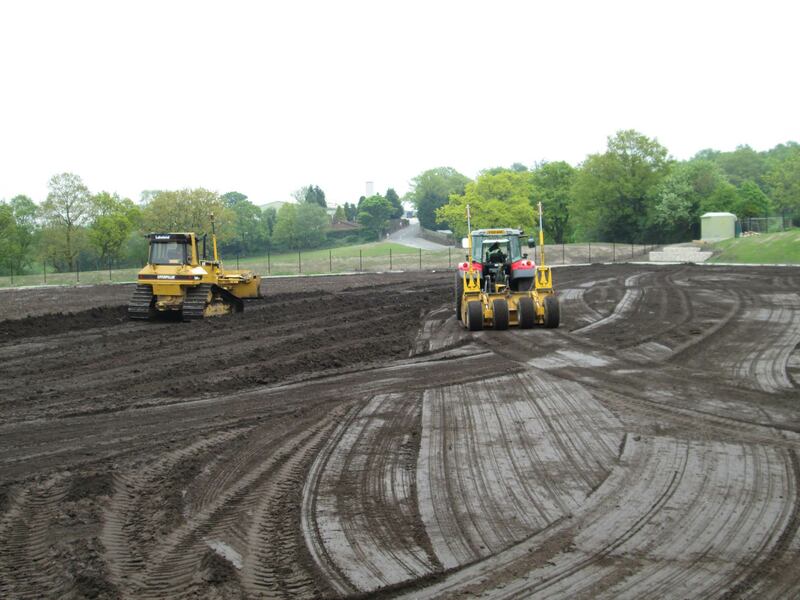 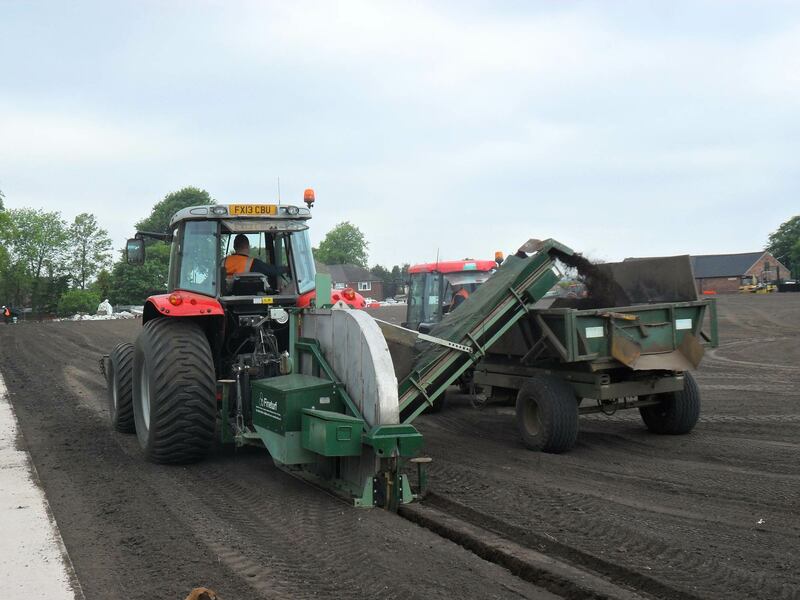 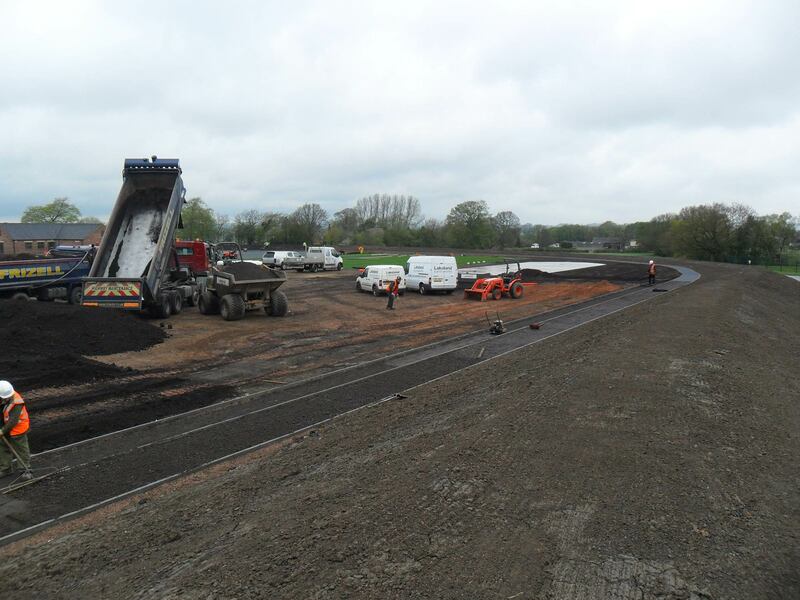 Cut and fill was carried out to the subsoil which was also decompacted and laser graded. 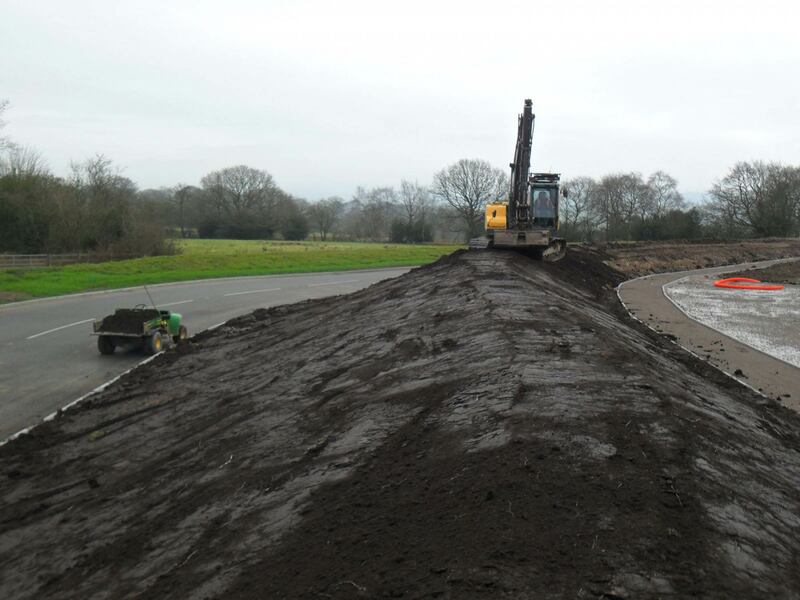 During this phase surplus material from the cut and fill and the stockpiled topsoil was used to shape an embankment. 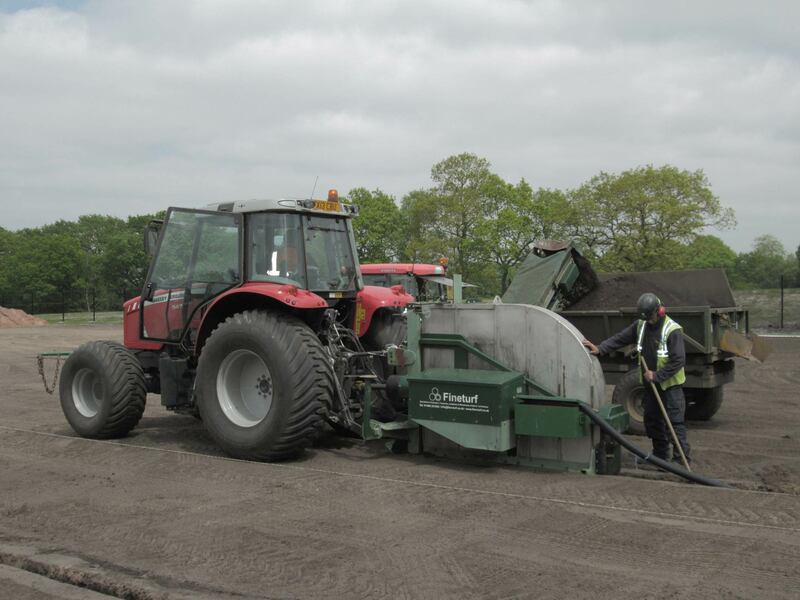 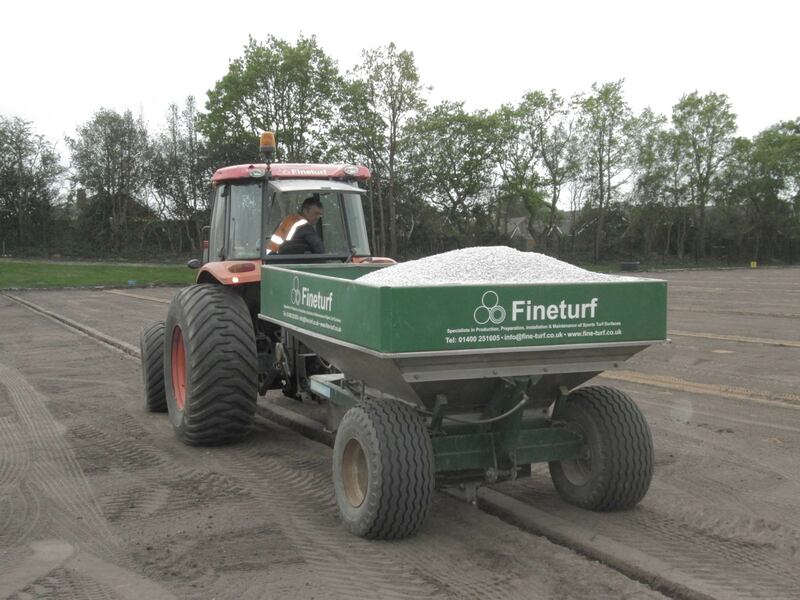 With the levels set the pitch profile was constructed from a 250mm layer of screened topsoil, which was laser graded and decompacted, the amelioration of 40mm of sports sand and a final laser grade. 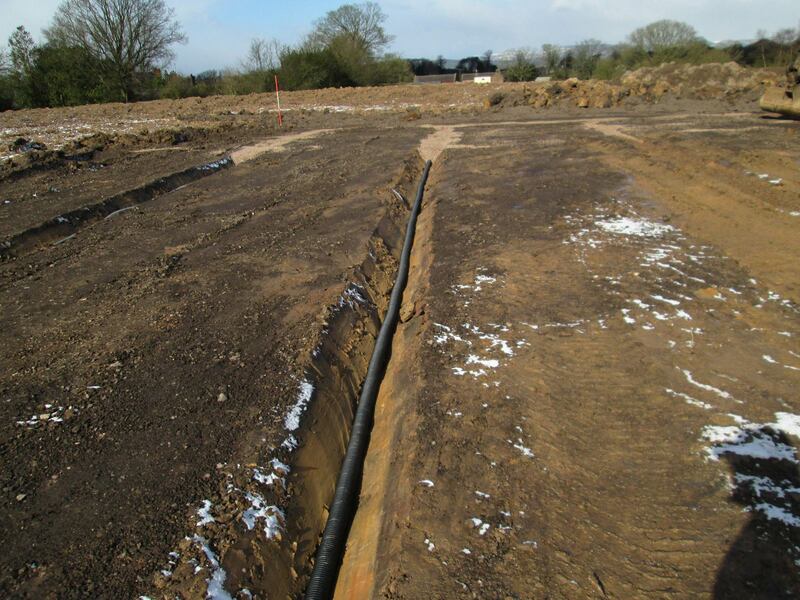 The drainage system included a perimeter French drain, a main drain, lateral drains and sand slits. 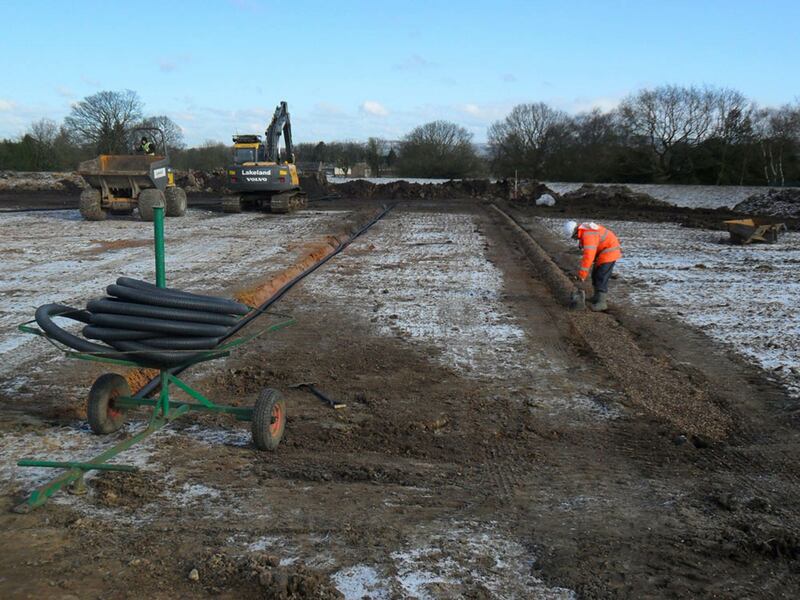 Following the pipe installation the trenches were backfilled with washed gravel and rootzone except the sand slits which used sand only. 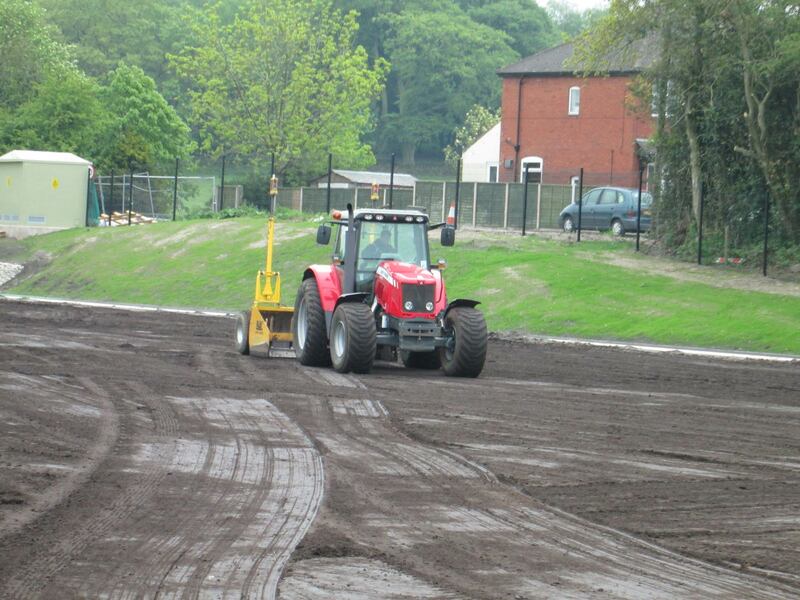 Pre seed fertiliser was applied and Limagrain MM60 sports seed sown in two directions. 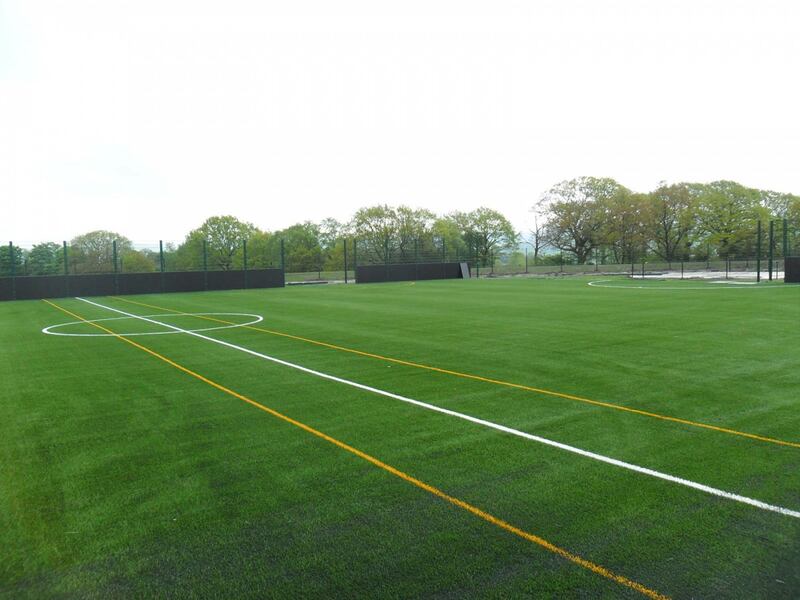 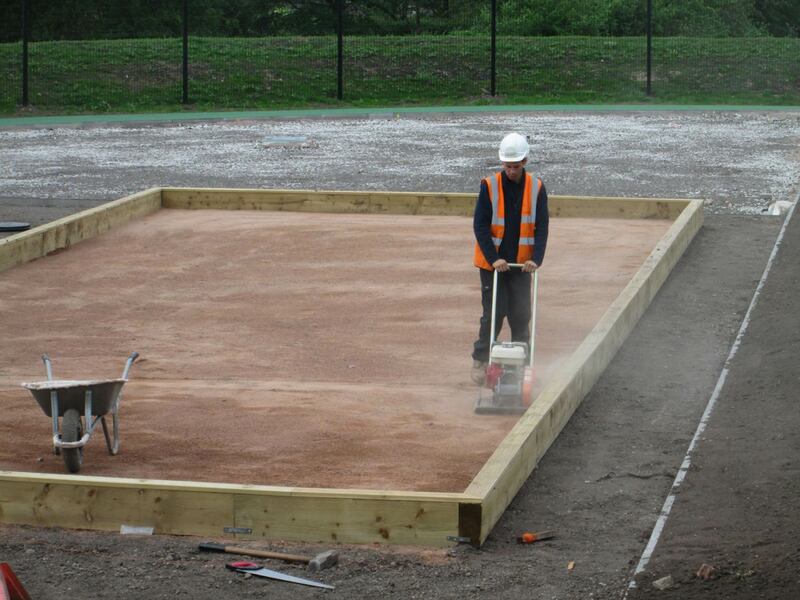 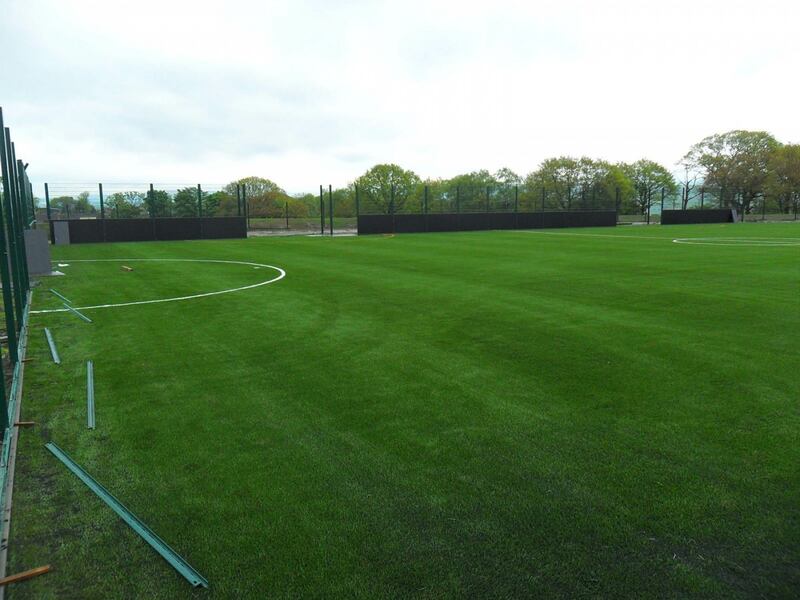 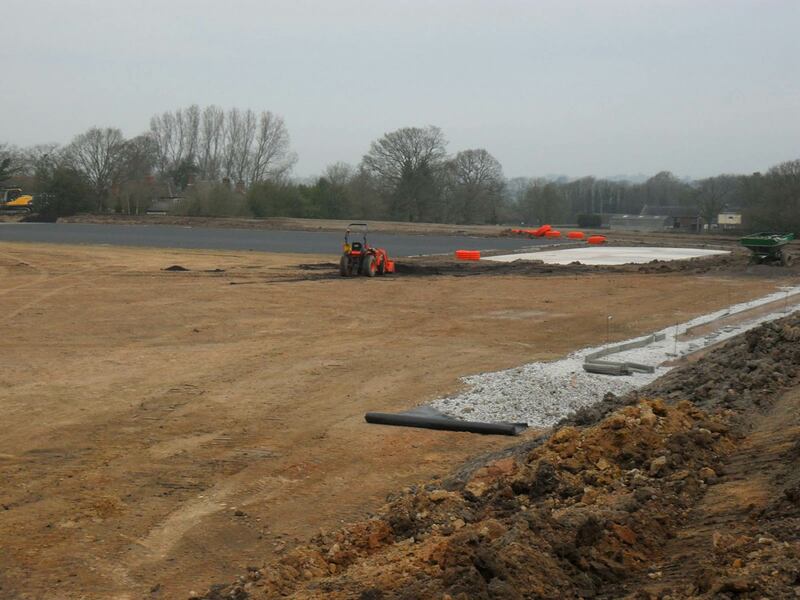 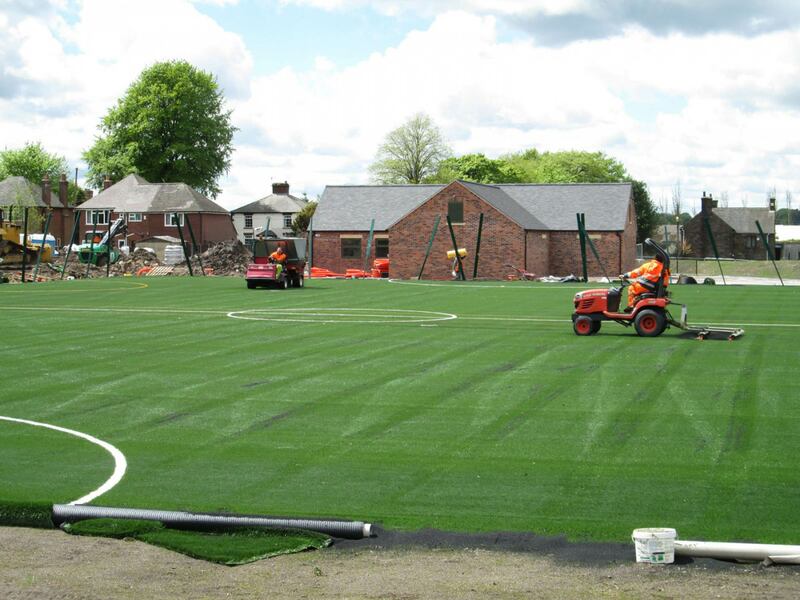 A 2000m2 Multi Use Games Area (MUGA) was constructed which will be predominately used for 5, 6 and 7 a side football. 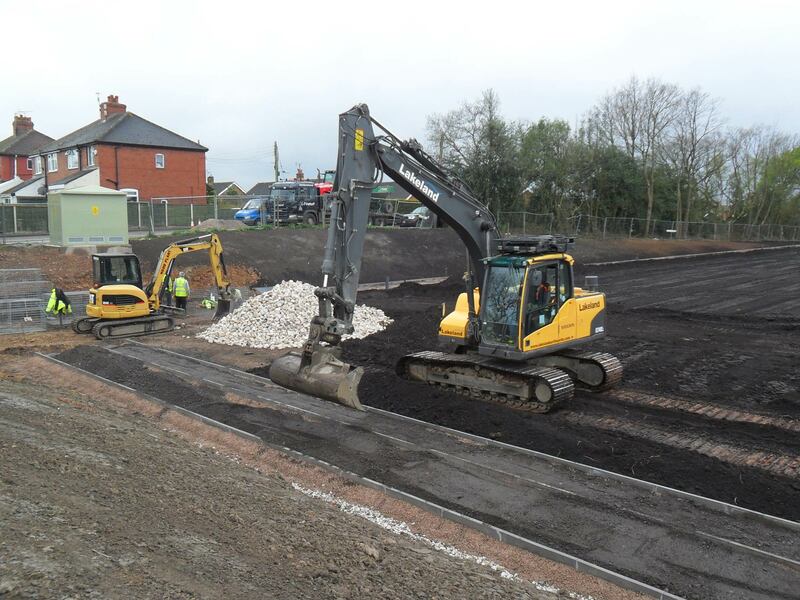 The formation was excavated and a drainage system installed at 5m centres. 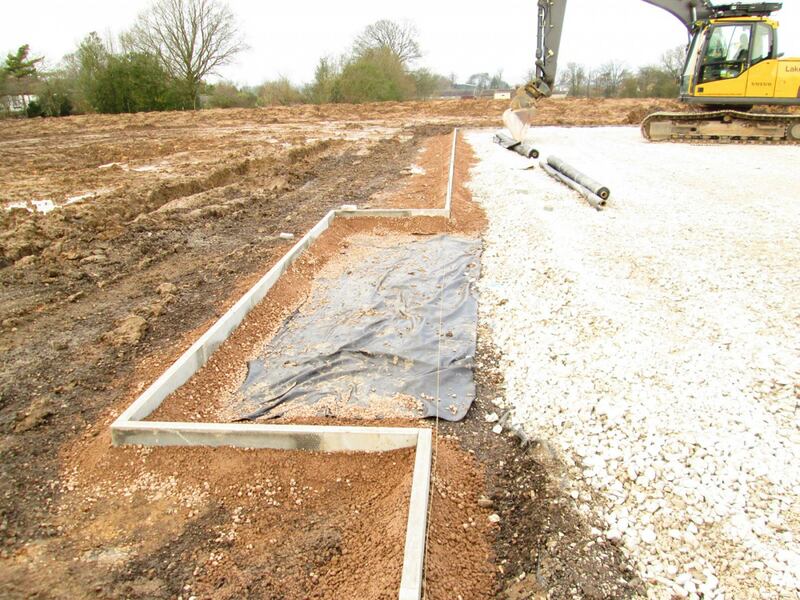 Drainage water runs through a silt trap and finally into an open ditch. 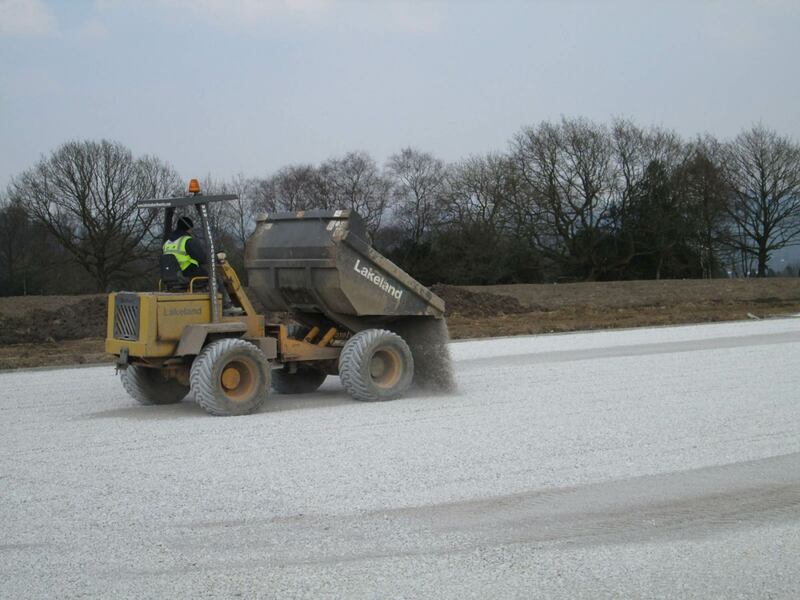 The pitch profile began with a 200mm layer of type 1x stone which was laser graded and consolidated with a vibrating roller. 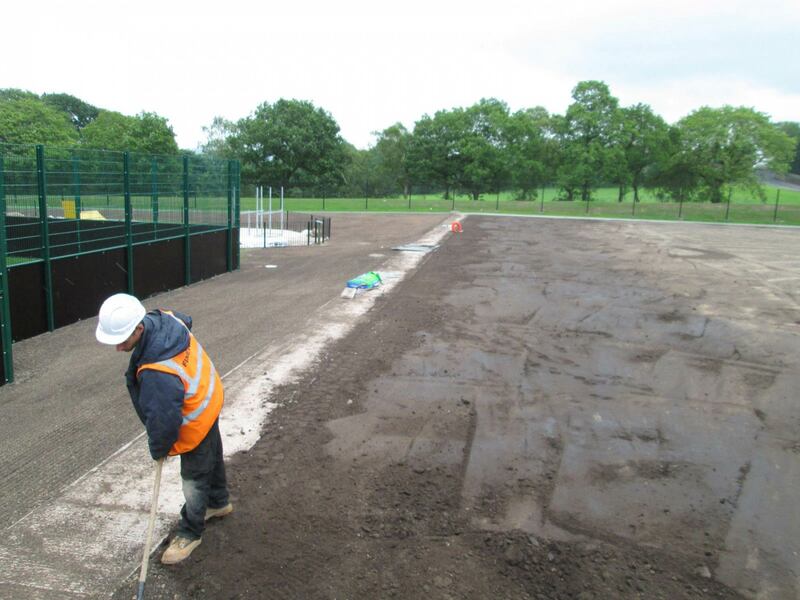 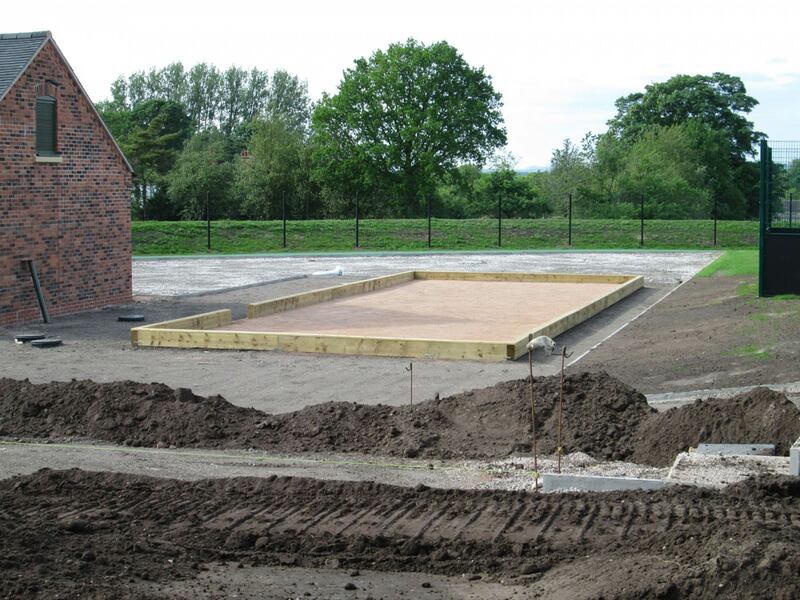 Concrete edges were laid to the perimeter of the pitch whilst allowing space for the external areas that would eventually house the goals. 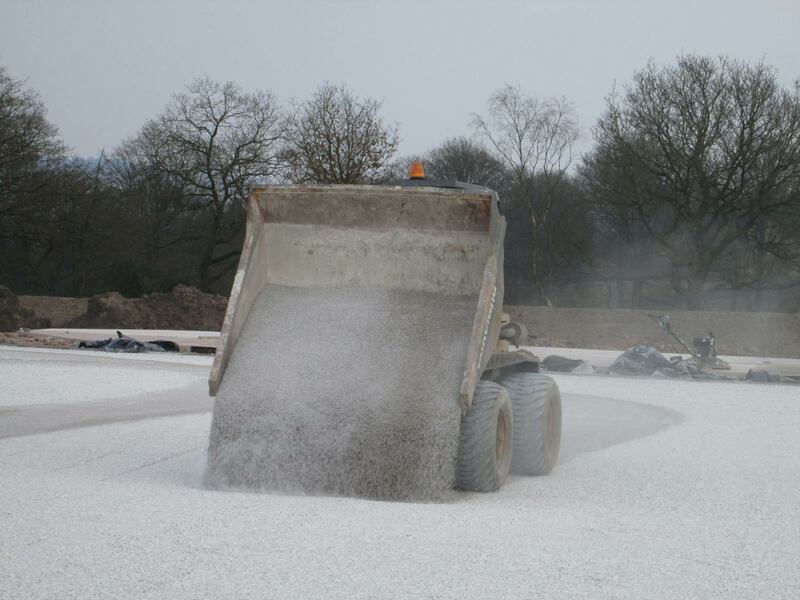 The entire area was covered with 40mm of 6-1mm crushed granite which was laser graded and consolidated. 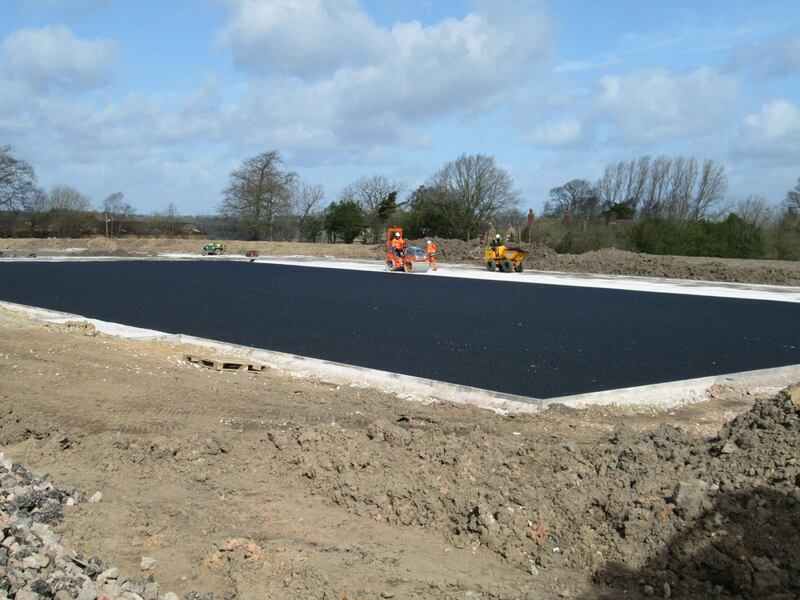 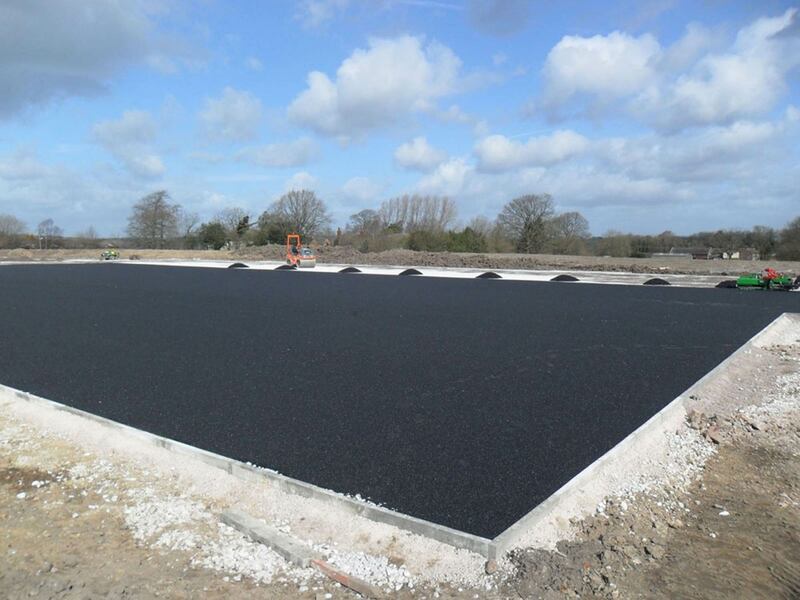 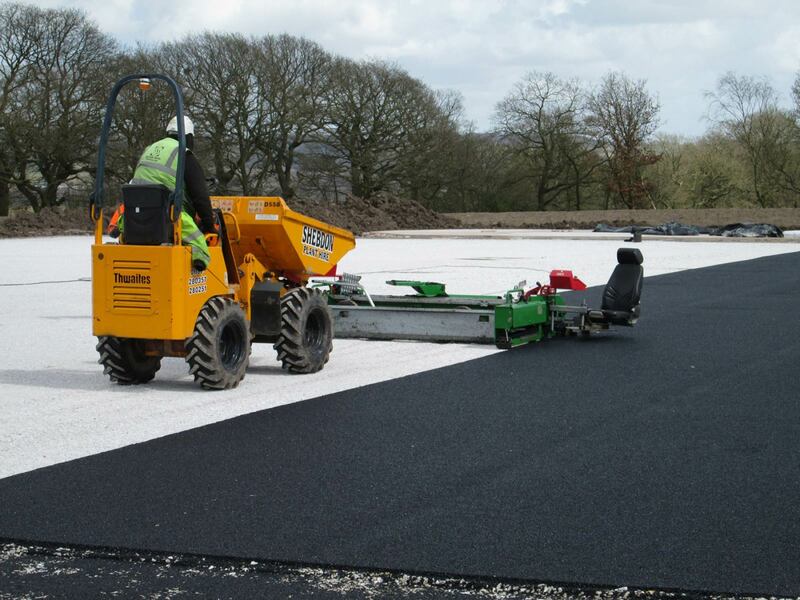 A 20mm wet pour shock pad was laid using specialist machinery; the two layer porous shock pad acts as an absorbing system for the pitch. 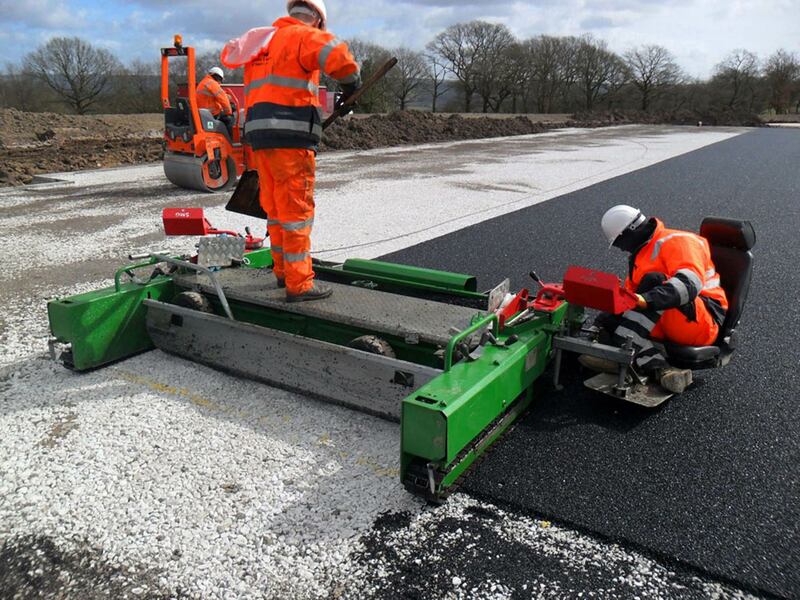 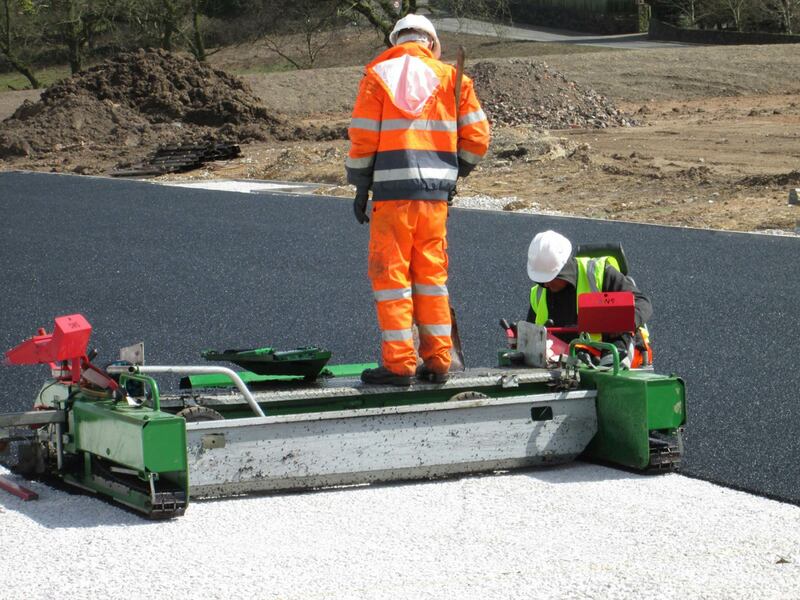 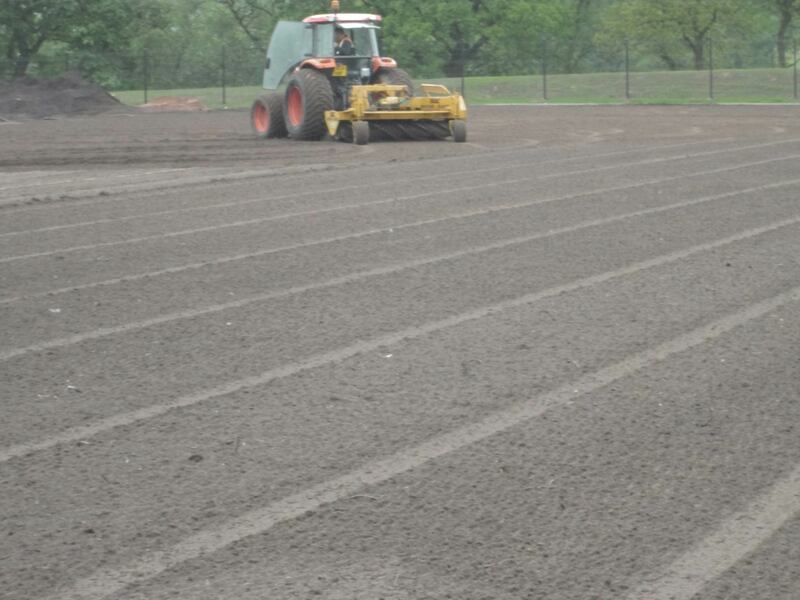 A 50mm 3G surface was laid from pre-line marked rolls. 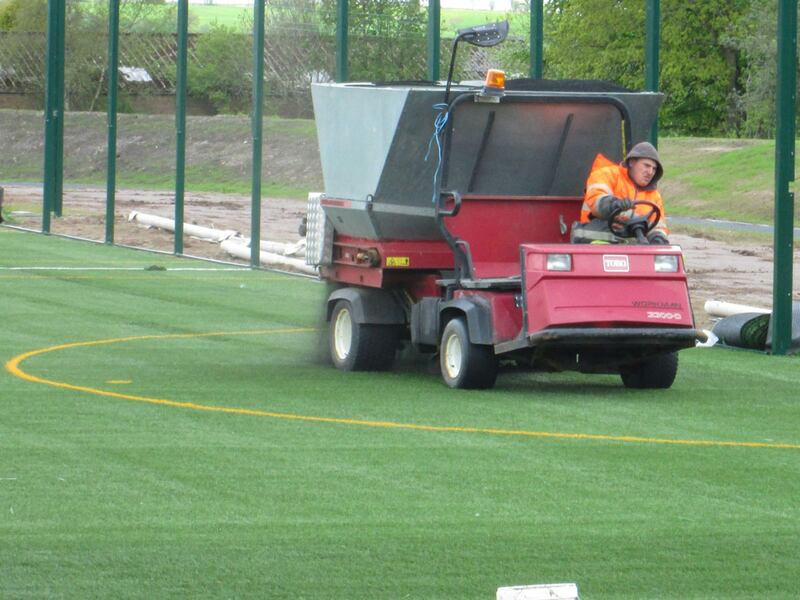 To complete the playing surface a mixture of rubber crumb and sand were spread and brushed in. 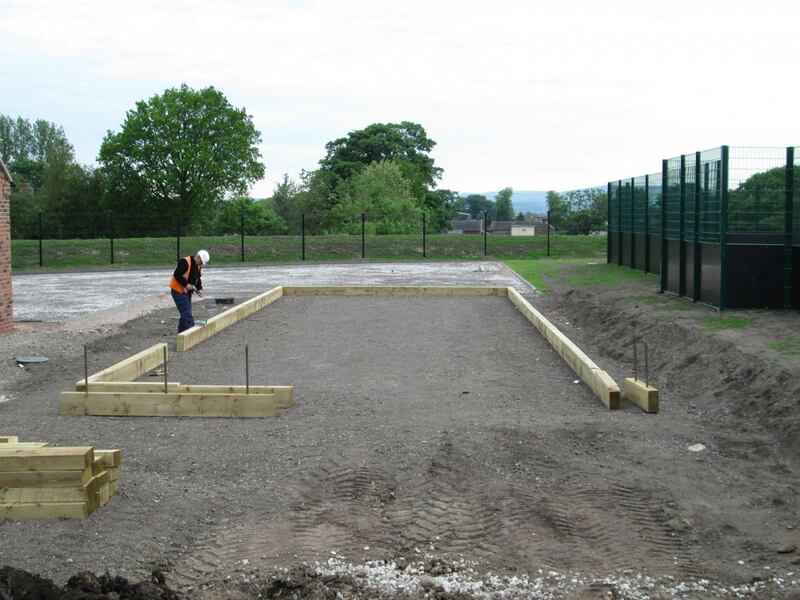 Finally, a fence was erected to keep any stray shots in the games area! 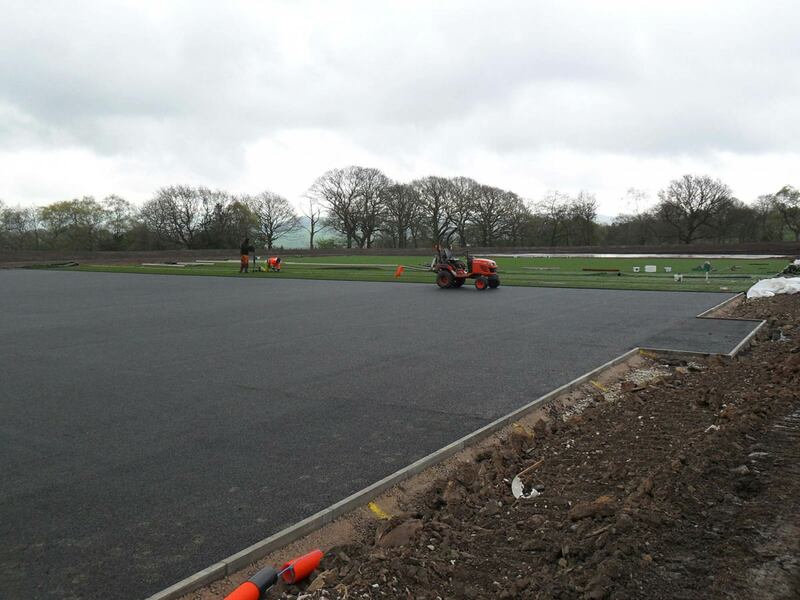 A 470m running track now circulates the site. 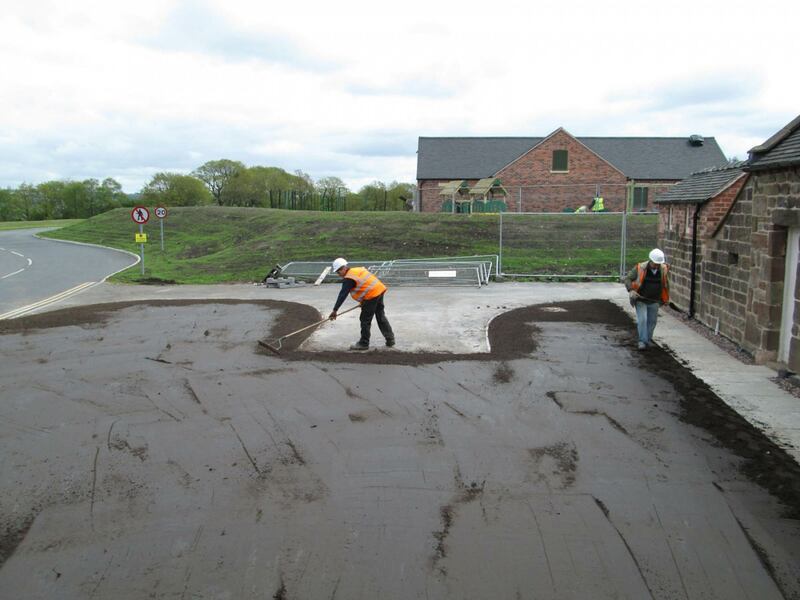 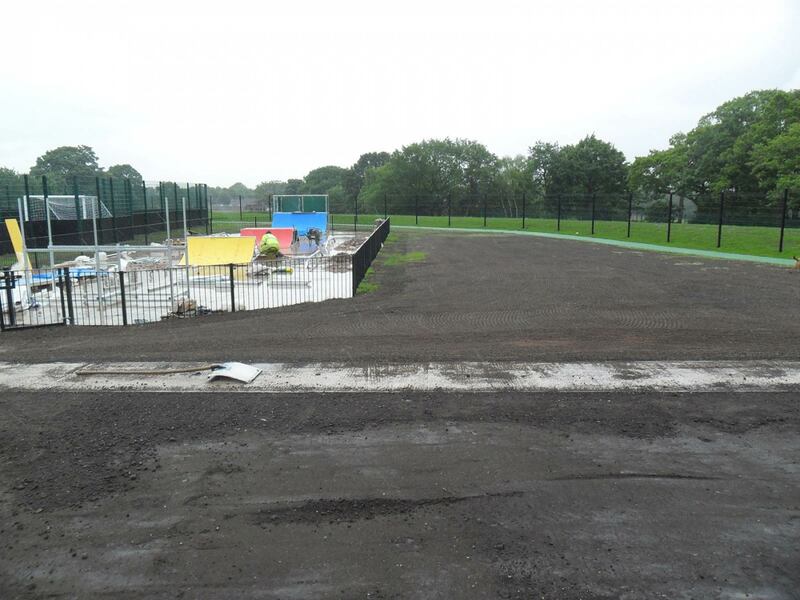 This was constructed by first laying the kerb edgings, filling with type 1x stone, consolidating and finally, laying a 50mm layer of green wet pour rubber, similar to that used on the MUGA. 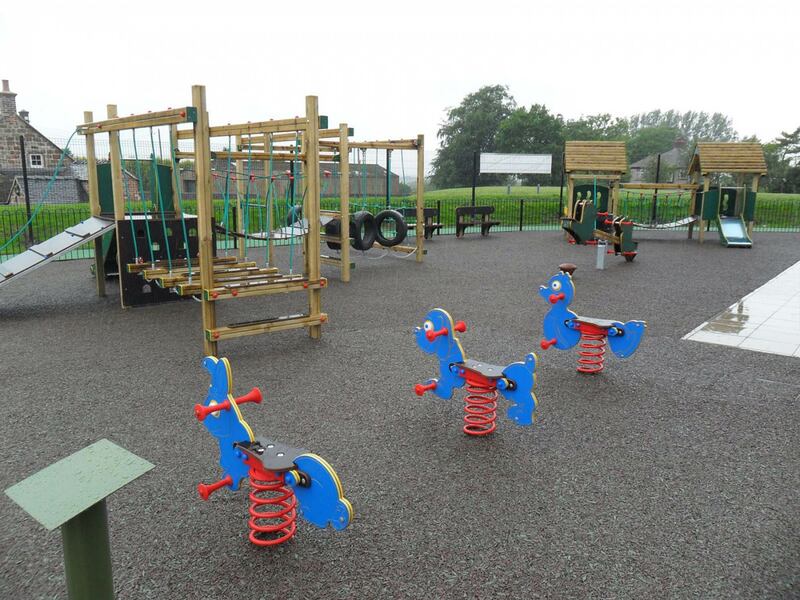 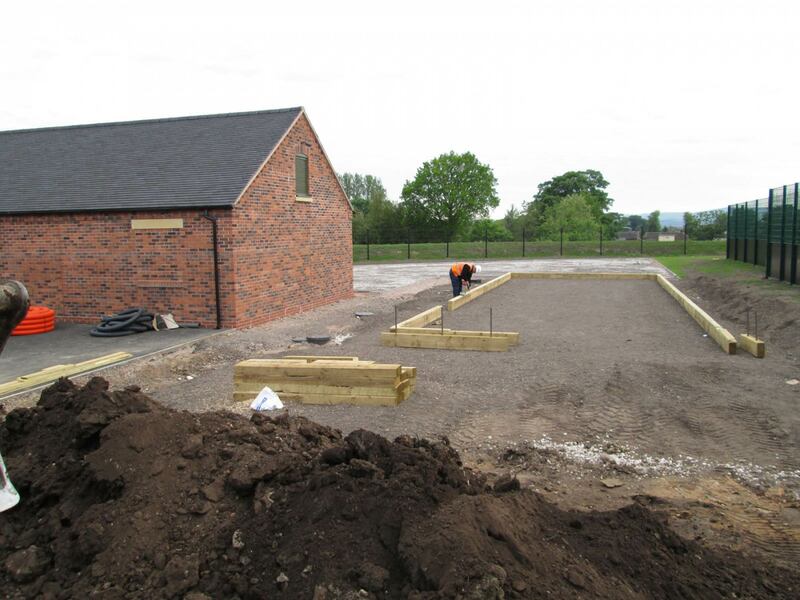 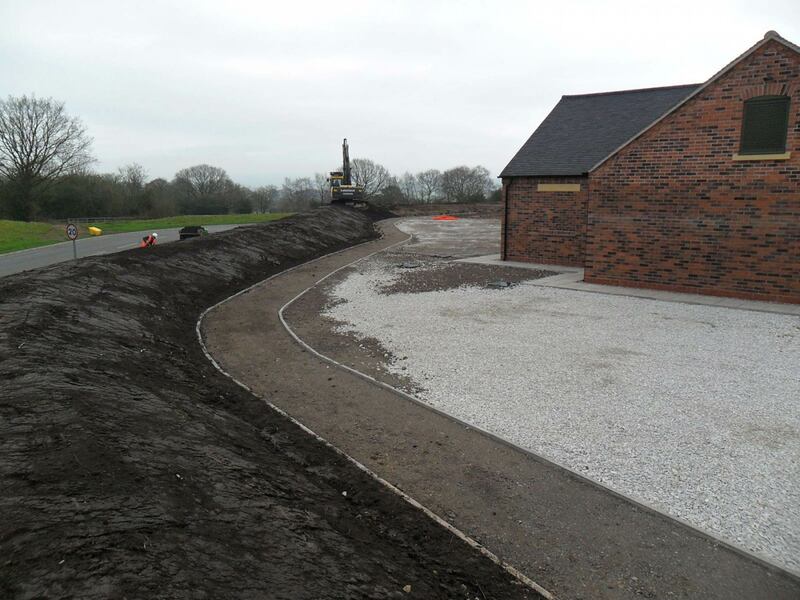 A children’s play park was constructed using kerb edging, type 1x stone and a wet pour rubber surface. 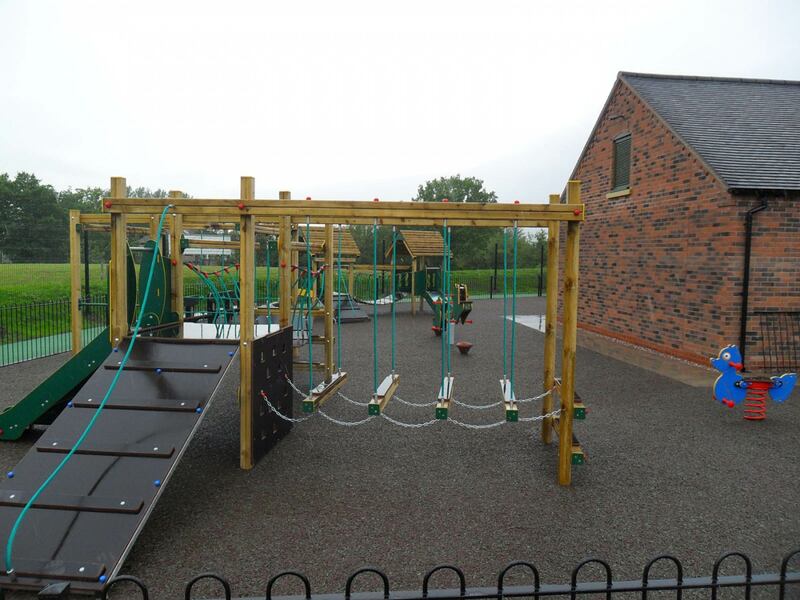 The park consists of slides, rope bridges and tyre swings. 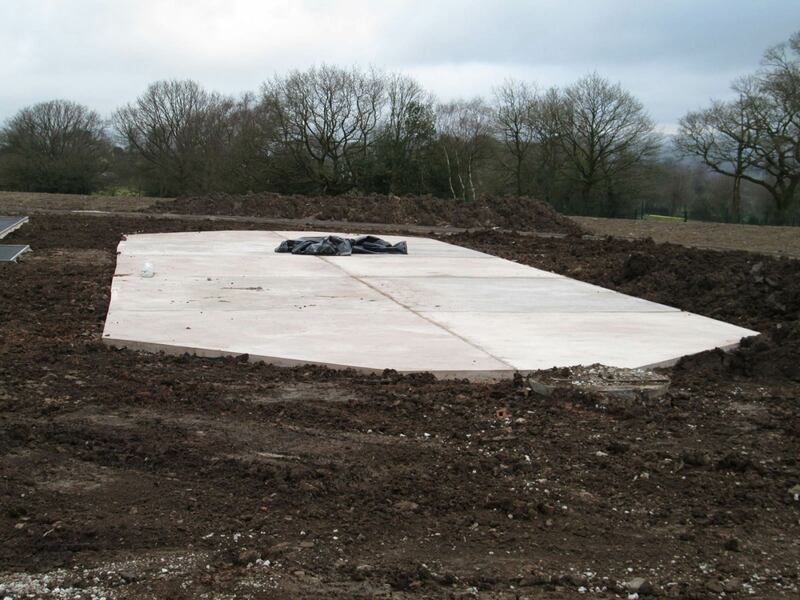 A concrete base was poured for the skate park and a number of jumps and ramps installed. 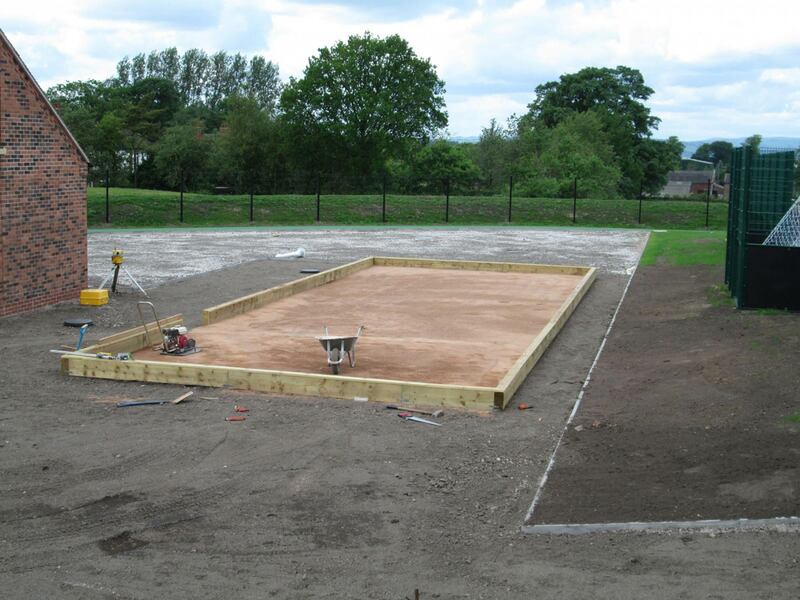 A Petanque Terrain, otherwise known as French Boules, was built from a wooden frame and a consolidated fine grit.